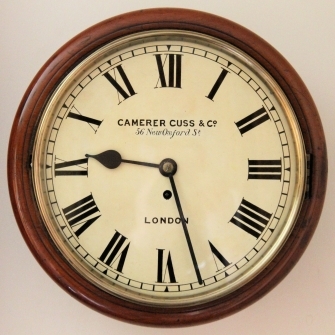 English fusee dial wall clock by camerer Cuss, London. Circa 1890. A good looking English Dial wall clock. The substantial, eight day duration, chain fusee movement with Anchor recoil escapement, shaped pillars and rectangular plates. 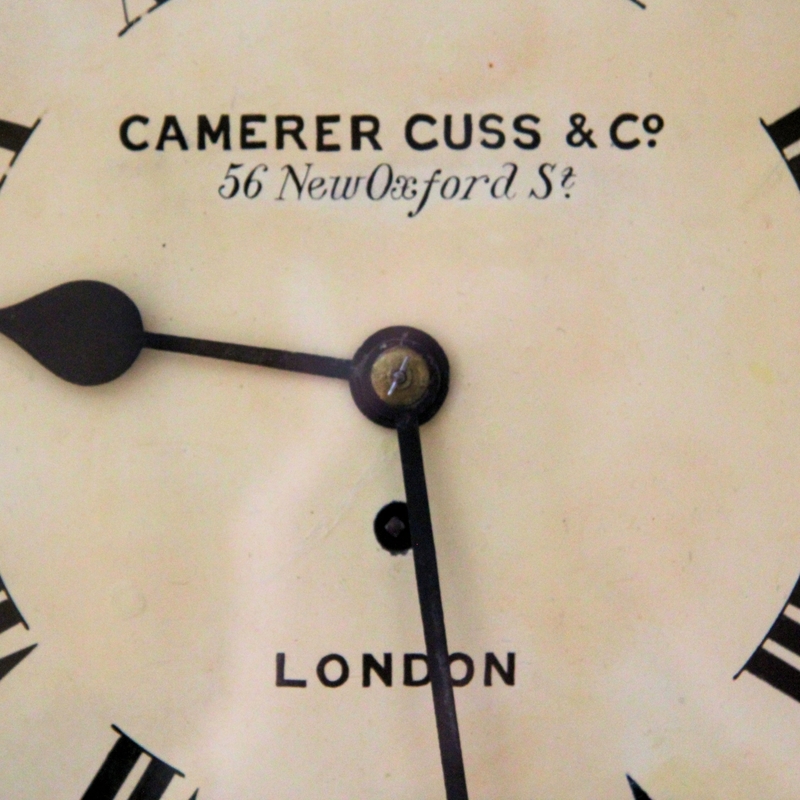 Behind an 11 1/2" diameter off-white painted iron dial with black Roman numerals, minute ring with triangular hour markings and the retailer's signature "CAMERER CUSS & Co. 56 New Oxford St. LONDON" above and below the centre. Also having steel 'spade' hands and a glazed brass, polished bezel with flat glass. Contained in a mahogany case with a well proportioned dial surround of good colour and patina and a rounded bottom to the back-box incorporating a lower, locking and cockbeaded curved door and also, a side access door. 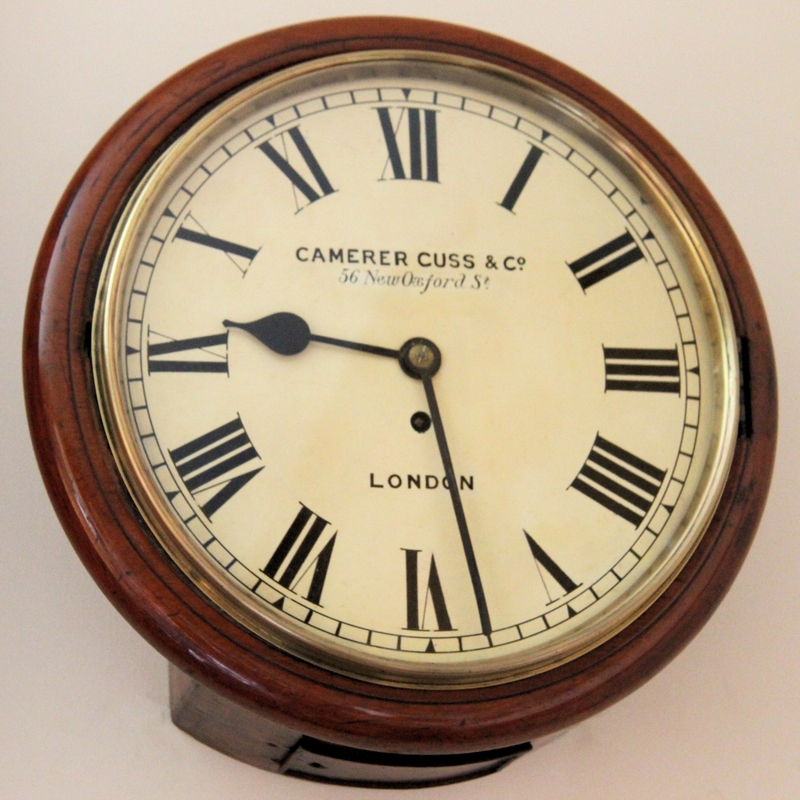 * The Anglo-German clockmaking firm of Camerer Kuss was founded in Bloomsbury by two German immigrants in 1788. In 1867 the firm opened a retail outlet and workshop in New Oxford Street. They were well known for only selling good quality goods and obtained exclusive rights to import top quality Black Forest clocks. 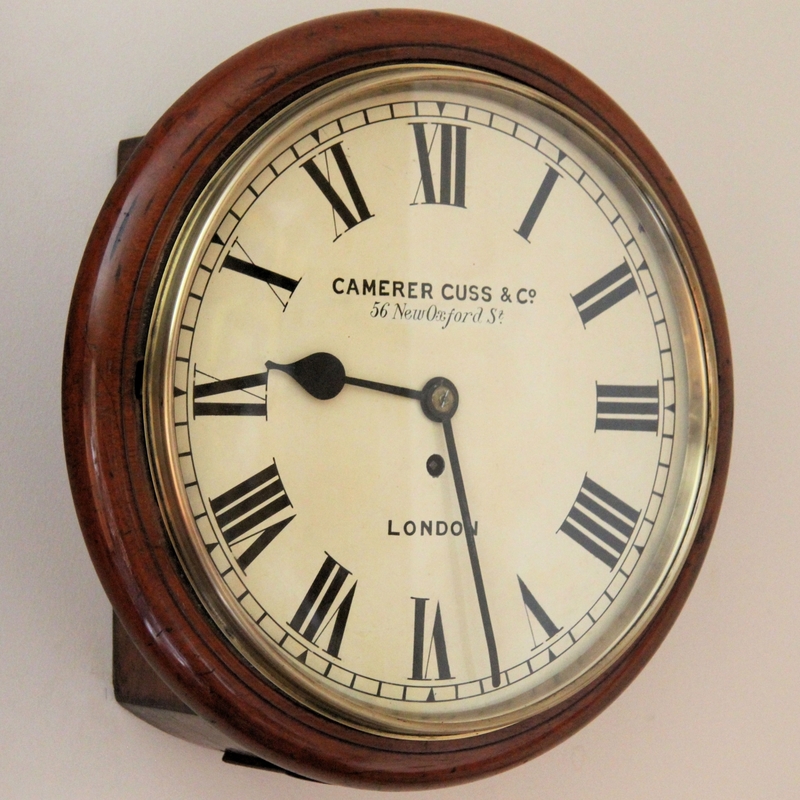 ** The appearance of this clock really is beautiful and the photographs do not serve it justice - it retains its original polish to the case and it exudes character and age. Dimensions: 14 1/2" in diameter x 6" deep. Condition: Excellent and of good colour and patina.